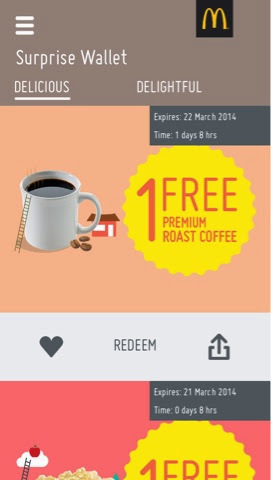 Don't say I didn't share, but McDonald's Asia-Pacific has come up with a brilliant utility app for Singapore that acts both as an alarm, and a place to reward customers with free food and drinks! Not to mention exclusive free music downloads from Sony. 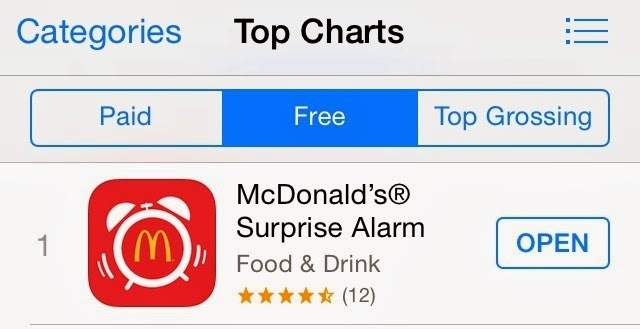 The best part about this is that you won't know what you will get -- every day you get 1 surprise alarm sound and 1 surprise item, be it free coffee or fries or apple pie (these are what I got so far) and music (what I heard people got). 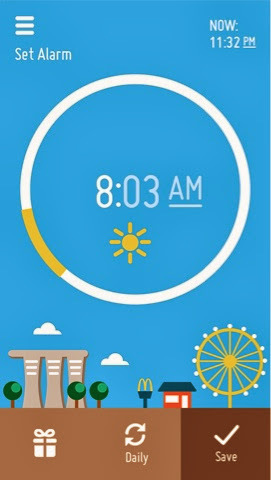 Simply download the app, set the alarm by twirling around the outline of the circle, create an account or use Facebook Connect, and voila! I woke up to "slapping sounds" on my first day and that gave me a shock. Haha but the next day I had a marching band sound as my alarm. The app is so awesome, it is the number 1 free app on the App Store! Get yours now by visiting www.mcdonalds.com.sg/morningsurprise or searching for "mcdonalds surprise" in both App Store and Android Google Play and enjoy free surprises for another month!